Click on the map to the right to open google maps. 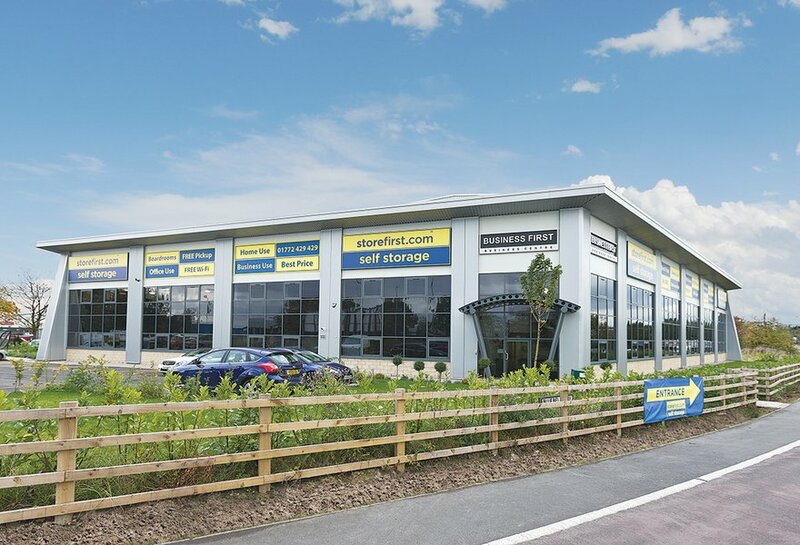 Please note that we are in offices within the 'Store First' Building, which is covered in huge blue and yellow signage and easy to spot from the road! If you are using Sat Nav to reach us, the postcode will take you onto Millennium Road. Continue driving along this road until you reach the T-junction at the end. Turn left and then follow the road as it follows around the large Store First building, where you will immediately arrive at our car park. If you click on the map above, you will see the location of the bus stops outside our office. The main bus from Preston is the number 1 to Longridge. There is the 'Red Scar' stop just before to the roundabout (coming from Preston) which is right next to our office. If you miss this stop, there is another stop immediately after the roundabout. On the opposite side of the road are located stops either side of the roundabout which will take you back towards Preston. The office is situated near to the Guild Wheel Cycle Route as well as an off-road cycle path from the heart of Preston itself. We are located in the corner of the very large 'Store First' building with prominent blue and yellow signs. Our entrance is located under the dark sign above the canopy on the far corner of the building. If you are having any difficulties locating us, the staff in main reception of Store First will be happy to assist you.